A Police team played in the Wednesday League competition from 1927 to 1929. Conflict from union linked teams in that competition, due to the Police involvement is strikebreaking, was a major factor causing the Police to leave the Wednesday League and to form their own competition in 1930. The internal Police Football League was formed in 1930 which had a great deal of success. Peter Bourke's 'A social history of workplace Australian football, 1860–1939' includes an interesting background to the politics of the formation of the league. The Police football team, then and now, has regularly played matches to raise money for charity. 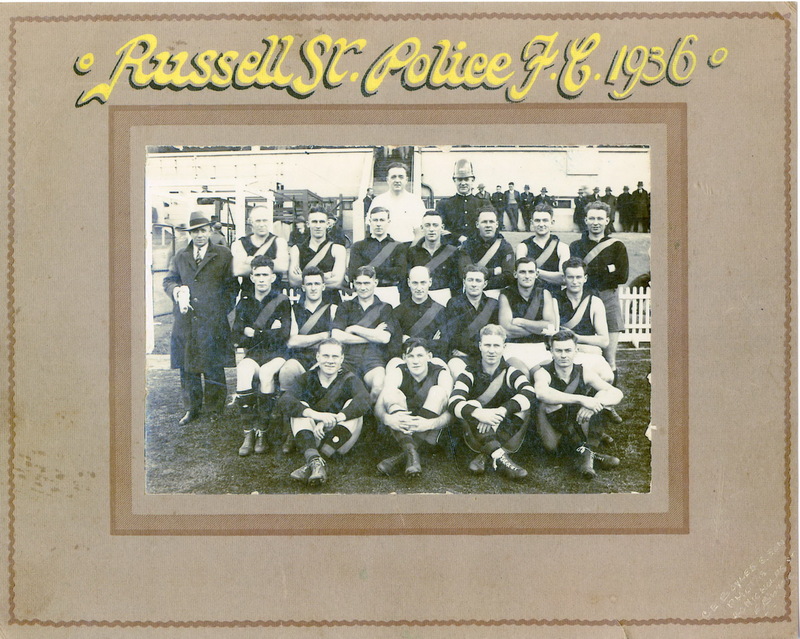 Note - A photo of the Police team for this match featuring Laurie Nash, George Jerram, Jack Perkins, Jack Evans and Neville Huggins exists in the Police Museum Collection. Crowds at football matches in the 1930s could get quite involved. 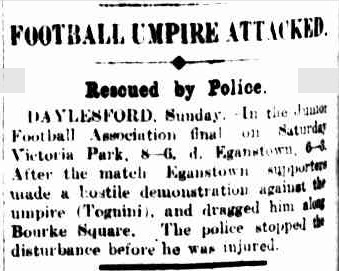 A number of Police stories at matches involve umpire rescue. Crowds would surge onto the field and join a melee. 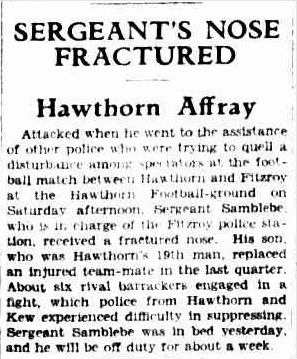 Police were often required to break up fights at VFL, VFA and in many other leagues. Considering the issues the Police team had with the Wednesday League in the 1920s, they were still regulars at games in the 1930s. 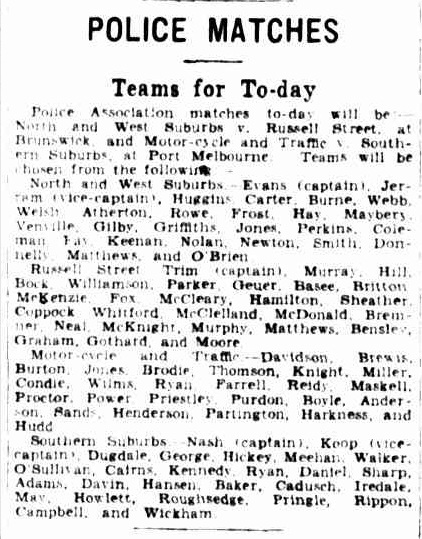 Other VPASWS Hall of Fame members include early Collingwood player Bill Proudfoot and more recently footballer and personality Rex Hunt. Laurie Nash also played with the Police for a short period in the 1930s. Examples of Details available on Trove.